Zhaoyu Nie, kneeling, atop the Nordkette mountain range near Innsbruck, Austria. “Germans are known for their precision and enjoying their lives, which is an intriguing combination that I wanted to learn about,” says Zhaoyu Nie, a junior in optical engineering. He got his opportunity to do so this summer as a DAAD-Rise intern at the Max Planck Institute of Quantum Optics in Munich. “I learned how to enjoy my life while working hard,” Zhaoyu says of his experience. RISE Germany is a summer internship program for undergraduate students from the United States, Canada and the UK in the fields of biology, chemistry, physics, earth sciences and engineering. 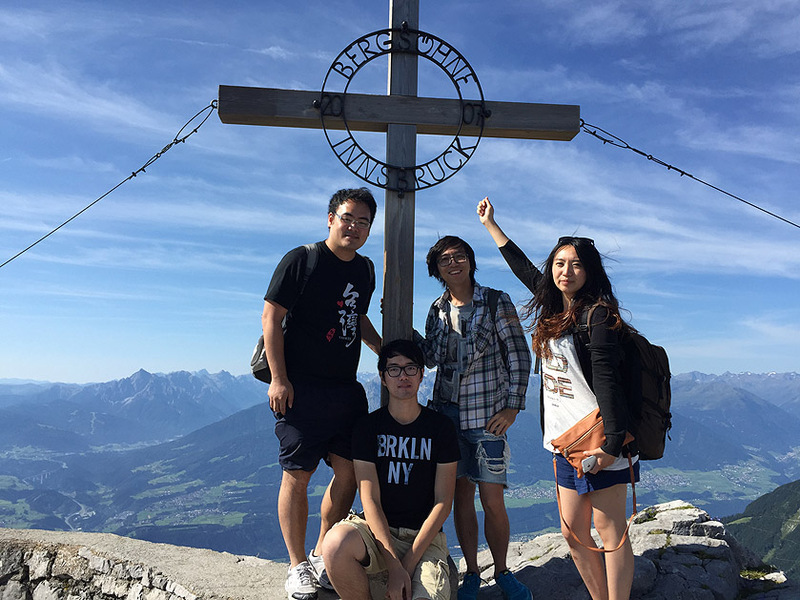 As the program’s website notes, RISE Germany offers opportunities for bachelor students to work with research groups at universities and top research institutions across Germany for a period of 3 months during the summer. RISE Germany interns are matched with doctoral students whom they assist and who serve as their mentors. The working language is English. All scholarship holders receive stipends from the DAAD to help cover living expenses, while partner universities and research institutes provide housing assistance. Zhaoyu worked with doctoral students in their theoretical work on attosecond optics, a small but highly advanced field. “My colleagues basically start from the very beginning to try to come up with a theory. I learned from them how to thoroughly think about a problem, which pushes me to become a more professional scientist,” Zhaoyu said. 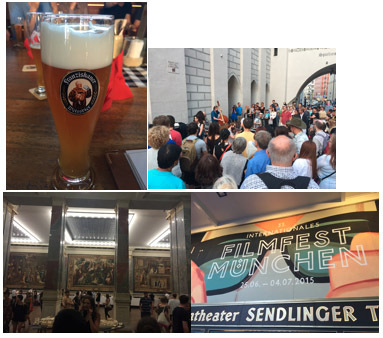 During his stay, Zhaoyu experienced the best that Munich has to offer, including its beer, artist street performances, even a Munich-Bayern soccer game in the Allianz Arena.